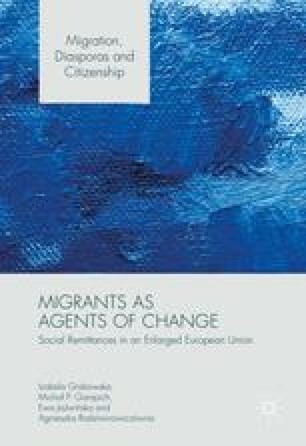 In the concluding chapter we bring together various threads of the arguments to point to the real, intense and very important relationship between migration and social change in the countries of origin as well as localities of destination (although on a different scale). We stress that the attention to small-scale, mundane, banal and everyday actions of migrant agents helps to see the micro social changes in question or the lack thereof. By bringing forward the theoretical framework described in the early chapters we reaffirm the core argument of the book, which is the centrality of human agency in incorporating social change in transnational and translocal contexts.